Will purchase of Opel mean deja vu for PSA? The Talbot Horizon, above, was sold as the Dodge Omni and Plymouth Horizon in the U.S. But PSA couldn't keep the Talbot brand going. PSA Group has purchased a money-losing European arm from a U.S automaker before. It didn't go well. As it contemplates buying Opel from General Motors, history might supply some valuable lessons. In the 1960s, Chrysler went shopping in Europe to try to emulate GM and Ford in creating a successful business there. Integrating its French, British and Spanish car and commercial brands might have worked in another era, but not in the strike-wracked turmoil of the 1970s. New boss Lee Iacocca wanted out. Ambitious French automaker Peugeot had just bought rival Citroen and in 1978 added Chrysler Europe in a deal that "dropped a bombshell on the world's car industry," according to a contemporary BBC TV report. PSA was now Europe's largest carmaker. But it soon went sour. PSA knew the problem was in the UK, and paid just $1 for Chrysler's over-staffed operations there. But it thought that access to Chrysler's dealer operations in France and Spain would compensate. To cut costs in the UK, PSA quickly shut a former Rootes Group factory in Scotland and sold Chrysler's truck business. It tried to maintain a third car brand in Europe, now renamed Talbot, but plugging holes in its lineup with rebadged Peugeots couldn't halt the sales slump. PSA posted a loss in 1980 and didn't return to profit until 1986. 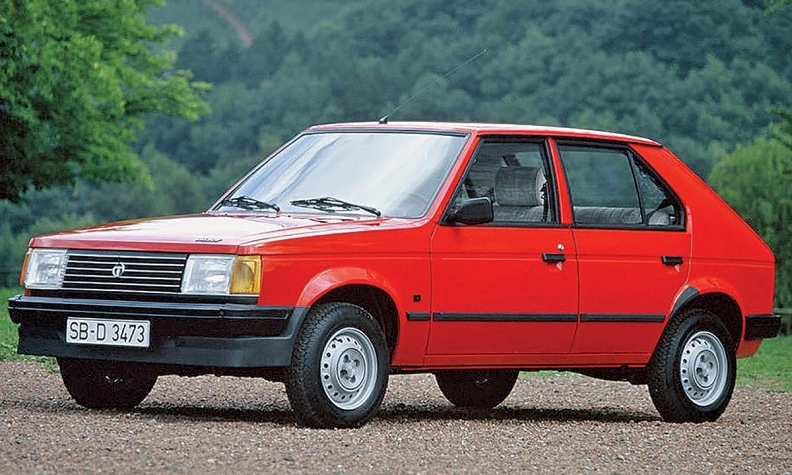 By then it had shelved the Talbot brand and launched the replacement for the Horizon subcompact (sold as the Dodge Omni and Plymouth Horizon in the U.S.) as the Peugeot 309 instead. With its purchase of Opel/Vauxhall, announced on Monday, PSA will have to confront brand compatibility and factory overcapacity once again.